Want to turn a purse full of pennies into one full of pounds? Then sell books for cash with WeBuyBooks. We’ll give you dosh for the stuff you never bother with anymore. Wave goodbye to all your unwanted books, games, DVDs and CDs and enjoy a bigger bank balance. 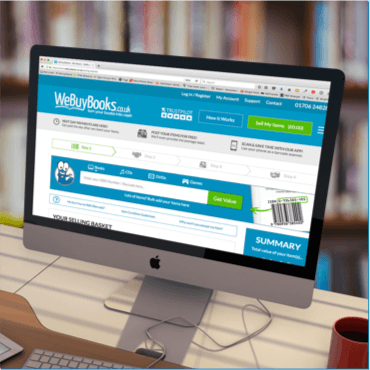 How do I sell books for cash using WeBuyBooks? 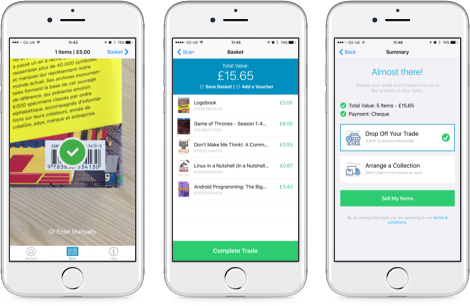 Selling your old books for cash couldn’t be any easier; receive an instant online offer, post your books for FREE and get paid the day after we check them. Simple. It only takes 4 simple steps to get some dosh. Just enter the ISBN number of your items, get a quote, send your stuff and get paid! We’ll offer you the best prices on the web for the stuff you no longer want or need. Plus postage is free – yippee! We’ll provide you with a postage label so that it won’t cost you a penny to send your stuff to us. As if this isn’t all exciting enough, we offer rewards for frequent sellers. Is your item in good nick? Then send it in, quick! The chances are, we’ll want whatever you offer to us as long as it’s in a decent condition. We don’t accept books that are badly satined or falling apart. If your unwanted books look like the family dog has regurgitated them, then the odds are we won’t accept them! To avoid any disappointment, check out our handy item condition guidelines. So what are you waiting for? Head over to our selling basket now and start selling books for cash! You’re just moments away from decluttering your home whilst making some money along the way! Follow us on Twitter or like us on Facebook for all the latest news, promotions and tips on how to sell books for cash online.